At the end of August an exciting event took place at Al Habtoor City in the heart of Dubai. La Perle, the spectacular new acrobatic water show from Franco Dragone, opened its doors for the first time in a purpose-built, 1300-seat, theatre designed by renowned set designer, Jean Rabasse, and executed by Khatib and Alami Architects and theatre consultants Auerbach Pollock Friedlander. Robert Juliat is proud to be a part of it, with four of its Cyrano 2500W HMI chosen as La Perle’s followspots. 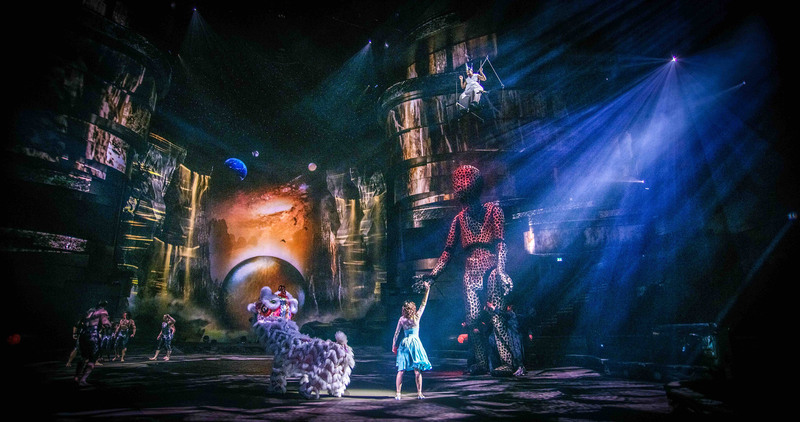 La Perle is a landmark for Dubai with a trio of firsts as it is Dragone’s first show in the Emirates, Dubai’s first large scale theatre dedicated to just one show and the only live residency ever to be performed in Dubai. Sixty-five international artists are showcased against a dreamscape world in which they display their acrobatic, aquatic and aerial acting skills in a series of awe-inspiring stunts. 25m high dives and death defying stunts strive for attention with dancers and aerialists as the action centres in, around and above a 5.5m wide x 8m deep diving pool known as The Pit which overspills or recedes to fill and drain the wider stage at a moment’s notice. The bespoke theatre is designed to gather its large audience around the irregularly-shaped performance arena and wet stage in just 14 rows of seats, giving perfect sightlines from every seat and guaranteeing each audience member a unique, close-up experience. A complex, structured set and heavily reliance on projection combine to create the ambience of a grotto or cave, and realise Dragone’s intention to ‘transport’ the audience to fantastical realms inhabited by fabulous beings. Directing the audience’s gaze through this to the show’s main protagonists are 4 Robert Juliat Cyrano 2500W HMI followspots, used with soft edge focus to gently direct the audience’s attention whilst simultaneously avoid breaking the spell. The initial lighting design and specification by Enrico Bagnoli was implemented on site by his assistant Claude Plante, and programmed by Stephane Lecavalier and Nathan Files. The show is currently operated by the La Perle Lighting Operations team of Anton Montaut, Head of Lighting and Video, Steve Critchley, Assistant Head of Department and Michael Swan, Lighting Rover and board op sub. Dragone’s shows have a history with Robert Juliat followspots which are used in many of their venues and performances around the world. “The Cyrano spots were chosen for La Perle as Robert Juliat are the leaders in the professional lighting industry in followspot technology and the Cyrano spots are the unit best suited to our venue in terms of focal length and throw distance,” says Montaut. “However there are many additional features that added weight to our choice: I have always been a fan of the hot restrike feature since it was first introduced many years ago. I know this is now a common feature but this has saved many a performance and is great for the lamp health and budget over the years. “Robert Juliat’s engineering quality is unparalleled by other followspot manufacturers on the market. The balance exhibited by the followspot while at rest is superb - it’s great to know that the spot isn’t going to fall back and point at the sky if you take your hand off it for a moment! The separate ballast to reduce the weight of the unit is helpful when mounting and transporting the unit, and the rubberised handles are also a nice touch. Montaut is well qualified with his opinions as he also has a history with Robert Juliat followspots of all sizes: “I have used the Robert Juliat followspot fixtures on a previous Dragone show where we had 5 Super Korrigan 1200W units on The Han Show in Wuhan China. 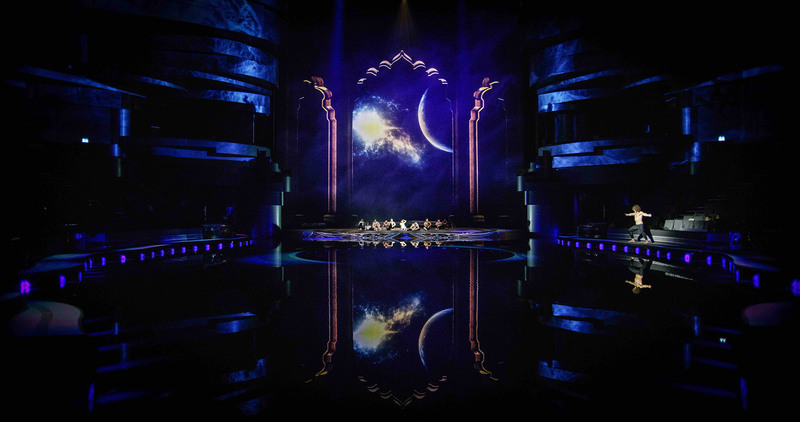 The 90-minute La Perle by Dragone runs twice a day for five days each week at the new theatre located in Al Habtoor City’s Atrium complex and is set to become a major attraction in the region.